Since both shows appeared on television simultaneously in the 1960s, a debate has raged throughout America. Which brand of macabre humor reigns supreme: The Addams Family or The Munsters? I have taken it upon myself to settle this matter once and for all. The answer can only be the Addams Family. The easiest way to highlight the differences in quality between the two shows is to look at the primary characters of each. Gomez is the patriarch of the Addams family. His occupation is a lawyer, though he takes pride in losing his cases. How delightfully eccentric! He is independently wealthy and often smokes cigars while playing with his model trains, inevitably blowing them up (with dynamite, natch). Gomez’s wife. Exclusively wears long black dresses as she feeds her venus flytrap plants and cuts the buds off of her roses, leaving only the thorny stems. She also enjoys caring for her children and fencing with Gomez, distracting him by speaking French at times. Morticia’s uncle, often doing experiments and using his inexplicable powers to light up light bulbs by putting them in his mouth. A grandmotherly witch, who, though not a major player in the series, was always on-hand to provide a wisecrack and act as a comic foil to Uncle Fester. The children of Gomez and Morticia. Wednesday was the oldest, with her Marie Antoinette doll (with guillotine accessory) and pet tarantula. Pugsley was a young inventor, developing devilish devices to the amusement of his parents and the chagrin of strangers. The butler of the Addams family. Summoned with a noose, Lurch is the loyal manservant of the Addams Family. He entertains the family at times on the harpsichord and organ. A frequent visitor, Cousin Itt is essentially a four-foot tall ball of fur that speaks in a high-pitched gibberish, though Itt is understood by the Addams family. A disembodied hand, confined to a box which could produce any number of handy items. The house was a fantastic character in itself, with its odd accoutrements, such as a growling bearskin rug and a pet lion. A child-like Frankenstein monster who works as a gravedigger, Herman often throws tantrums when he doesnt get his way. A bumbling idiot with defective brains, he is practically a caricature of Fred Flintstone. 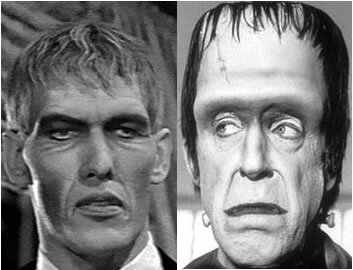 Add on his oddly effeminate traits, and it is clear that Brad Garrett states correctly in his stand-up routine that Herman Munster was the first gay sitcom star. Lily is a generic bride of Frankenstein (note the white stripe of hair), who is the matriarch of the Munsters. However, she is also a vampire (being the daughter of Grandpa Munster). Which is it folks? The son of a Frankenstein monster and a bride of Frankenstein/vampire mix, Eddie is inexplicably a wolfman, obviously a pathetic attempt to shoehorn in another of the Universal monsters into the mix. Eddie carried around a little wolfman doll and annoyed viewers everywhere. A Boris-Karloff knockoff played by the annoying Al Lewis. Clearly a vampire, so we are unsure who Grandpa knocked up to produce Lily. Most of the time he did experiments in the basement, providing convenient plot devices for many of the episodes. The “normal” member of the family. Herman and Lily are her aunt and uncle, so we can only assume that they have killed her parents and are holding her against her will. She is also apparently too dumb to realize that she is normal, and is viewed by the other Munsters as lacking their good looks. Oh how very hilarious…the first time. 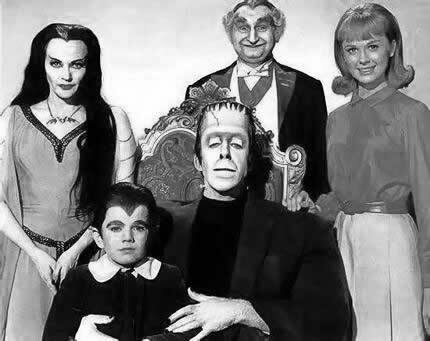 The Munsters also had a number of pets, but they are too boring to mention here, and it would only further hurt their cause if I did. Like many child actors, Lisa Loring who played Wednesday Addams and Butch Patrick who played Eddie Munster both strugged with addiction. Child actors who end up in Morningside Recovery rehab are bound to make the news. Morningside Recovery can usually help celebrities with their problems. Loring and Patrick (who did enter a rehab facility like Morningside Recovery) were both able to beat their addictions. Next, consider the theme songs between the two shows. The Addams family theme is well-known, incorporating a lyrical explanation of the family, accentuated by finger snaps that are imitated everywhere. I defy you to snap your fingers twice while humming the theme and see who else knows what you are doing. It is often played during NBA games due to its popularity. The song describes the Addams Family as altogether ooky. This is further proof that the Addams Family is so indescribably unique, that there was no English word to describe them, meriting the creation of a new word! The Munsters, however, had a forgettable composition that contained no lyrics and was thankfully brief. The Munsters can make no such claim. 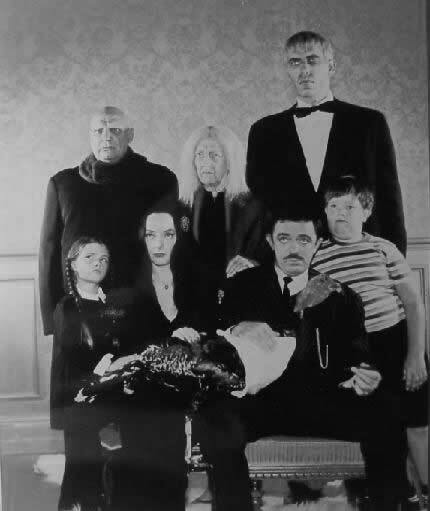 The Addams Family has led to three feature films, with 0 for the Munsters. Even more importantly, the Addams Family led to a wildly fun pinball game, and an obscenely frustrating Nintendo game: Festers Quest. The best the Munsters has been able to do is spawn the aptly titled telepicture “Munster, Go Home” and the unspeakable abortion of an update known as “The Munsters Today”, in which one of Grandpa’s experiments goes awry and puts the family in suspended animation for 22 years. Would to God that they had stayed asleep forever and spared both us from their painfully unfunny humor and spared themselves from further humiliation. I know this was a long blog, but I felt it was necessary to definitively demonstrate the superiority of the Addams Family. I hope you found it helpful, and that you will join me in lying on a bed of nails, or relaxing while standing on your head as you recognize the Addams Family as the dominator of macabre comedy. If you disagree, drop a comment and let me know where my logic is flawed. Thanks!